Some of you may have the habit to check news or updates of your favorite websites daily through email. VeryPDF Online RSS to Email Subscribe Device is a free online feed reader which can automatically check updates on websites, and send the updated content or titles to your email in real-time, every five hours, daily or any defined time. Subscribe to feeds very easily. 1. Can I subscribe RSS to Email on Mac? Yes, you can. VeryPDF Online RSS to Email Subscribe Device is a online tool and it supports Safari. You can subscribe to feed online without downloading anything. Yes, your account information email address, and feeds are well protected. Those information will never be shared with any third party. 4. 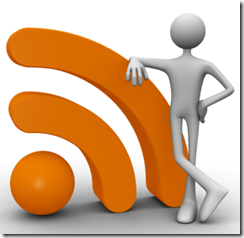 What is feed, feed reader and RSS? [Feed] or news feed, or web feed is a kind of data format that is can be used to provide users with frequently updated content. Lots of feeds can be syndicate to be subscribed by end users.Web feeds are useful for keeping up with multiple online information sources. [Feed Reader] is also named feed aggregator, news feeder, news aggregator, RSS reader or aggregator. It is software that can check updates regularly and send them to you. [RSS] RSS is a feed formats. There are other two types of RSS formats: ATOM and XML. 4. How to visit Online RSS to Email Subscribe Device? Because this online RSS to email application is now under testing, you may not be able to visit the website at right away. If you are interested in this tool, please contact VeryPDF by sending email to support@verypdf.com.